Home appliances need to not only be energy efficient and effective at their assigned tasks, they also need to be safe to operate. Thermal fuses and thermal cutoff switches help ensure that major appliances such as your dryer do not overheat. If a thermal disconnect occurs, it keeps your dryer from catching fire, but it also means that your dryer will not heat the air inside the drum the next time you use it. Because of this, the thermal fuse on a dryer is the part that is most likely to need replacing. Fortunately, this is a fairly simple task. There are several types of thermal fuses used both in home appliances and for industrial applications. The simplest thermal fuse has in internal sensor that is preset to its highest acceptable temperature. If the heat monitored by the sensor reaches or exceeds that preset level, the thermal link breaks the electrical circuit, shutting down whatever machine it is monitoring. This ensures that your dryer does not catch fire if the lint trap or exhaust are clogged, and therefore heat is not escaping as it should. Aside from thermal fuses, many appliances and commercial machinery use thermal switches. These can be made using gas, metal contacts, mercury or other mechanisms, but the main difference between a thermal fuse and a thermal switch is that thermal fuses are single use. Some thermal switches are also single use, but many types can simply be reset. Thermal fuses are used in any appliance where overheating presents an immediate danger. Blow dryers and clothes dryers are two of the most common uses for thermal fuses. Some blow dryers use a thermal switch, which turns off the blow dryer if it gets hot but which allows the blow dryer to work again once it cools down. Unfortunately, more manufacturers are using thermal fuses in blow dryers – which means that if yours overheats and you don't know how to remove and replace the thermal fuse, you have to trash it and buy a new blow dryer. The first sign that your dryer fuse is not working is that your clothes are thoroughly tumbled, but cold and wet. Check your owner's manual for instructions on whether you can just remove the back panel of the dryer where the thermal fuse is usually located, or if you also have to remove the top. If you don't have your owner's manual, it should be possible to find one online. Once you have the manual and have located the thermal fuse, you will be able to tell whether it will reset itself or will have to be replaced. 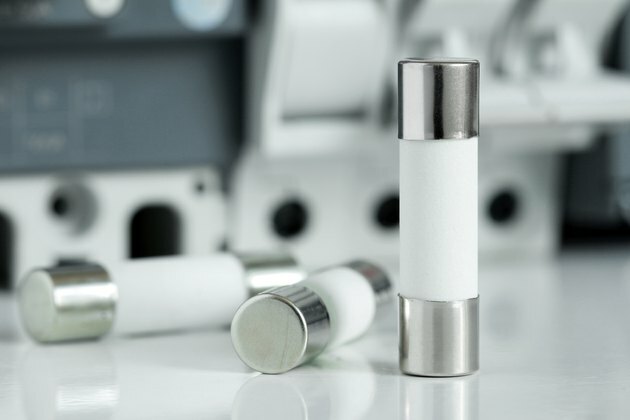 Thermal fuses generally cost less than $10 U.S. and can be found in appliance stores, hardware and home improvement stores and online. Once you have replaced the thermal fuse, clean out the dryer vent, exhaust hose and lint trap so that problem does not reoccur.